I'm going to lay it straight here. We all need Leads. And we all need Lead Generation. Where do you start? Like my mentor told me, “Leads are the lifeline of any online business.” When I first heard this, I have to be honest here, I didn't know what that meant! those more information that you have learned. People can stay up to date with what you're doing. Done consistently, and done right, you can build up 100+ leads in a matter of 3 months! That's how I did it! Don't sweat it. I was racking my brain for what this was going to be. I probably fretted over what topic this was going to be and did a lot of ‘overthinking'. 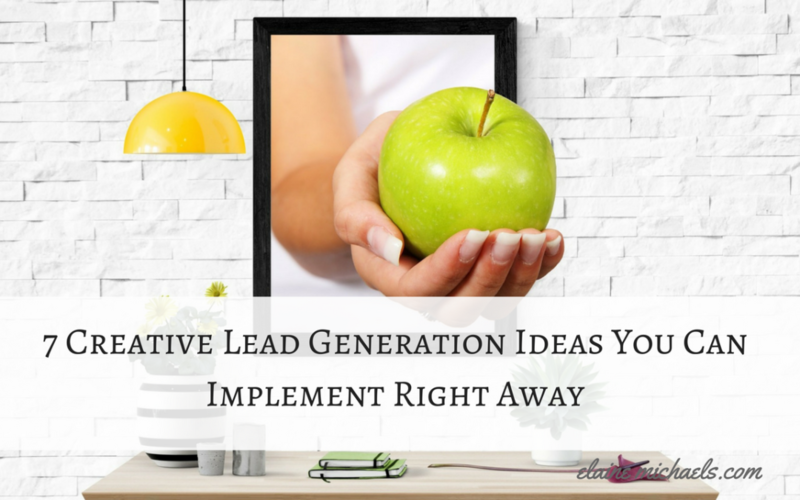 If you want an idea for a lead magnet, you can learn from examples. 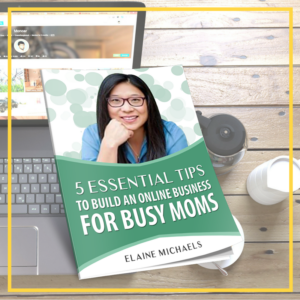 Go ahead and grab a copy of 5 Essential Tips to Grow an Online Empire for Busy Moms. #2 Idea: Make a Video That Either Entertains, Educates, or Empowers your Audience. Check out this video that I created for this blogpost! You'll see examples of other videos like this one on my Youtube Channel. Yes! Be sure to checkout my other videos by subscribing to my beautiful youtube channel. I plan to keep updated information there for you to reference! If you are a blogger, I salute you. When I first started out in blogging, I had no idea what to do. It took me 3 weeks to figure out how to create a header image (and I had to look up what that was). I was so discouraged, I decided that blogging was a monster and I abandoned ship for several months. Luckily, I found a system where I could self-host my blog and get all the nitty gritty tutorials to make my blog beautiful! Took me less than 2 weeks to re-launch my blog with clarity. Probably could have taken me less time but I had some mental hurdles holding me back! After you set up the framework on your blog, now what?! What goes into writing that blogpost? Well, check this out, I have a checklist that I put together of the steps that you need to take before hitting the PUBLISH button. Would you want to grab that checklist??? If you're aimlessly doing work, heck it might work for you. But what I realized what I needed was a Simple System that worked for me and my crazy schedule between music lessons, language lessons, and my husbands' 50+ hobbies and interests. When it all comes down to it, I had little time for me to implement this system. But the beauty of this system is that you just pick up where you left off and keep chugging away. If I have written out a complete Daily Method of Operation for you to see exactly How I was able to grow my audience 500+ organically in less than 3 months! Would this be something you'd be interested in seeing? Check this out! I am all about lists and things that's worth my time. Listen, I don't have a lot of time. I am a Momma, hear me roar. Between figuring out playdates and mommy dates, buying kitten food and kitty litter, and making sure everyone is fed.. If you have a good list that is going to help me out, I am all for that! How about if I share How to Make Facebook Posts that Up Your Engagement would that be something you'd like to see? Especially one particular post that got 721 comments in less than 1 night?! Do you find yourself sitting in front of Facebook and you're not sure exactly how to craft a post? Use this list as a guide! #6 Idea: Create an E-book that Delivers a Value Packed Punch! Don't let simplicity fool you. A simple E-book which can be written in a weekend may seem trivial to you may change the course of a particular person's life or business for the better profoundly! Where is your voice? What do you want to share? Be Creative! In today's world, we are all so busy with our hands in multiple activities. A nicely organized cheatsheet would make MY life easier! If you've got on, let me know about it! Host a webinar detailing what it is that you do! What is your field of expertise?! I will be sharing the 3 Simple Steps that You Need to Grow an Online Presence without sacrificing time with your kids! This one is very scary for a lot of people. But really if you rip the band aid off, and just keep doing, you do get better. It's just like a longer version of a Facebook Live. Okay, I have given you a chock full of action steps to take to pull in those leads until next year, LOL. Now all you need to do is go out there and Execute! If you are liking what I've taught you, let me know about it, by commenting below! Connect with me on my fanpage yo! What is a Lead? What is Lead Generation? and Lastly, What is a Lead Magnet? Why Should I Care? Great tips Elaine! Lead magnets are so important to growing your business. I’ve used reports, checklists, and challenges so far. Planning to get into webinars and podcastingi before the year is out. I hope to add podcasting as well to the list soon! I have a mic and gathering the info to launch that. I look forward to seeing you on your journey..
Lead magnets is absolutely important for to build curiosity around your business. An E-book is the way to go to give value and puiqe people interest. Thanks for great post. Lead magnets can lead to a huge success to any blog or business…Many bloggers I’ve seen dwell on webinars and e-books although I’m yet to think of one though…perhaps with time. Thanks for the ideas. Some brilliant tips right here and definitely ones I need to implement. My efficiency definitely needs to be improved. Having a great lead is so important! These are some great tips that I’m going to implement. You provided some really great tips here. Lead magnets sound like they can really help blogs/businesses. Great tips and so useful too! I am so inefficient and really must try harder, especially running my own business! These are awesome tips, without a doubt and it definitely helps you build a stronger brand, one that attracts more people. This is full of great resources and tips. I’m in the process of rebranding my blog and this is quite helpful! A great range of useful tips. I need to work on increasing my engagement on facebook. It’s something I have been neglecting a bit recently. Now I’m bookmarking this post. What useful tips for anyone who is building their brand! I know many companies who hire people, not necessarily for their job experience but for their contacts and leads. This is definitely great to know and very valuable tips. These are some really great ideas for building up your Online empire. Lead Magnet is something I learnt a year ago and it sounded so important to me. Videos, webinars are something which should be a part of strategy. Loving this and great for those looking to push up there blogging game and or business also. Cassie, I started out with one… and then found myself trying new different areas. All which taught me something different with each experience!